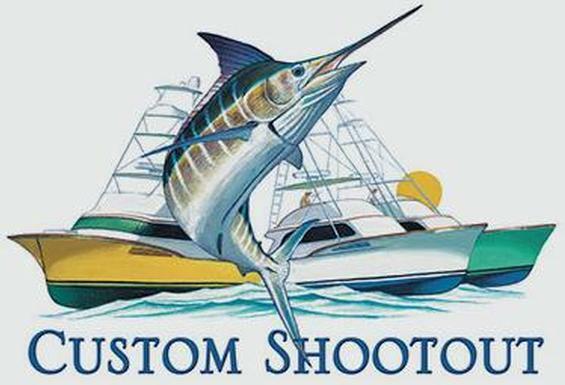 The Custom Shoot-Out is an "Invitation Only" billfish tournament, limited to "custom-built" (non-production) 32' or larger inboard sport-fishing boats. The tournament will be held at Abaco Beach Resort & Marina May 15-18th.The Custom Shootout is a 501c non-profit corporation which has has contributed over $650,000 to Breast Cancer Research, the Leukemia & Lymphoma Society, 911 fallen heroes and other charities. The Custom Shoot-Out perpetual trophy will be awarded to the top custom boat manufacturer for display until the following year's challenge. Other trophies and merchandise will be awarded for several categories. In the interest of fishing conservation, the tournament will be an "all-release" billfish format.